Save $$ by purchasing in bulk! 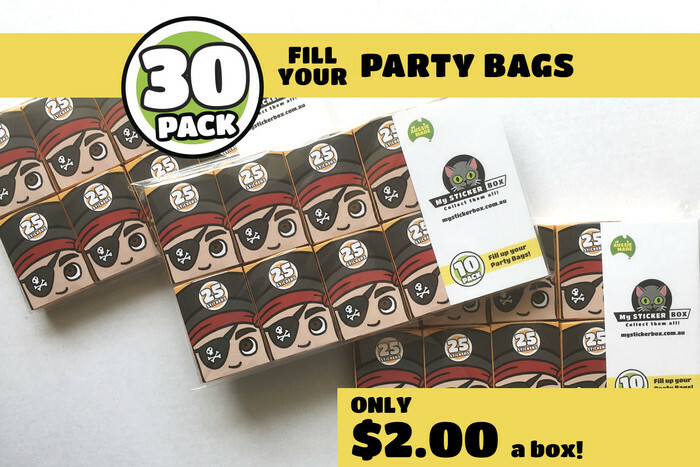 Each Pirate box in a 30pack is only $2 each! Now thats purrrfectly good for filling up party bags! 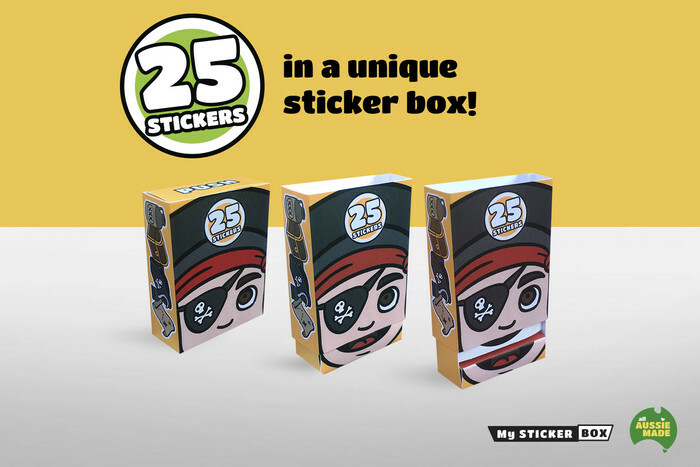 25 Stickers of everything Pirate! 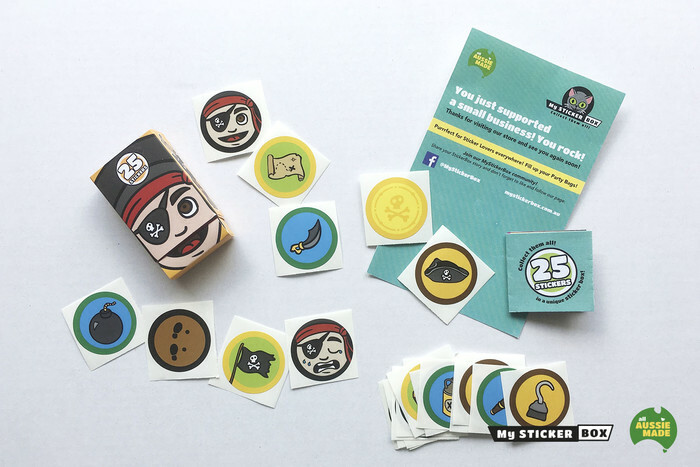 Our colourful children's stickers come in our unique sticker boxes, that also double as a toy! They are the perfect size for little hands. Great as gifts, for the sticker lover and filling up those party bags! Collect them all and start your own Sticker Box story. Other designs include: Unicorn, Dog, Cat, Ninja, Astronaut, Dinosaur, Dragon, Horse, Princess. (Save on postage and collect your order from Kuraby in Queensland. Thanks for shopping at My Sticker Box shop. Find me on Facebook @MyStickerBox. Payment Details: Bank Transfer preferred method of payment.